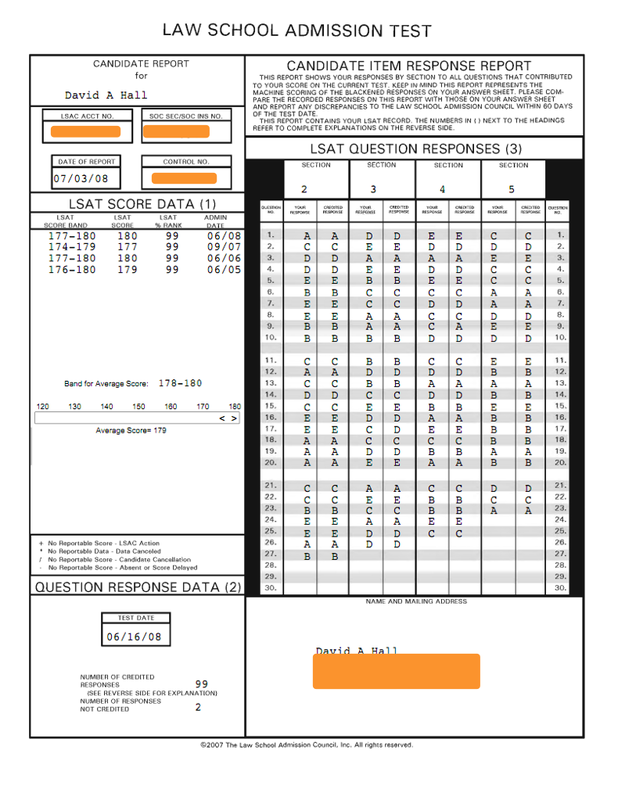 What's better than LSAT prep? LSAT prep with this guy. It was while floating down the broad yellow belly of the Indus, clinging to an ever-twisting banyan limb under the sweetly oppressive scent of figs and violence that Dave “Alan” Hall decided that there had to be an easier path to glory and untold wealth. Years later, with three perfect scores and thousands of teaching hours under his belt, Dave’s on his way. Well, he’s on his way to the glory part, at least. Dave’s awe-struck students say that his most important quality (aside from his keen wit and the strength of ten men) is his ability to inspire confidence. 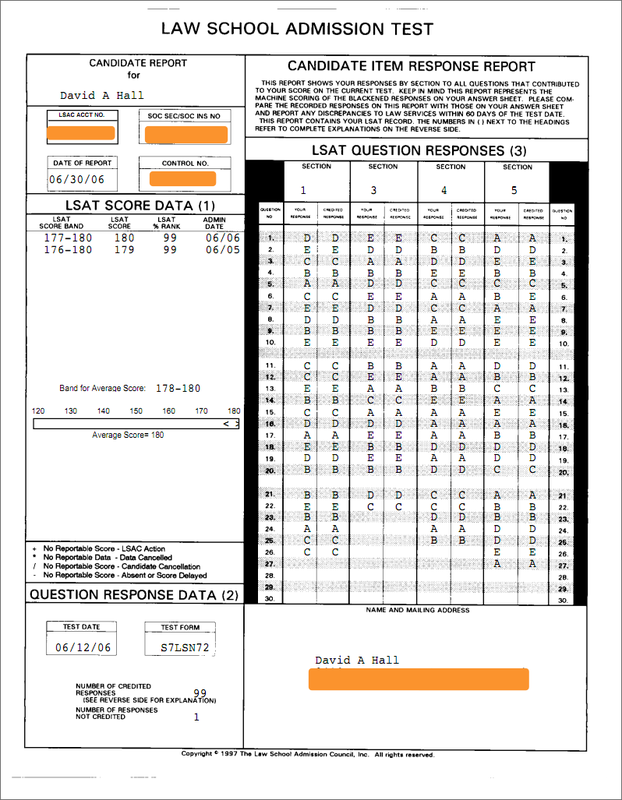 After taking the LSAT, they often say that it was Dave’s absolute confidence in them that fueled their belief in themselves. We say it’s his Kung-Fu grip. Either way, with the kind of score improvements his students achieve, and with the impressive roster of former students who've gained admission to the best schools in the country (including Yale, Harvard, Stanford and NYU), we think he might just be onto something. 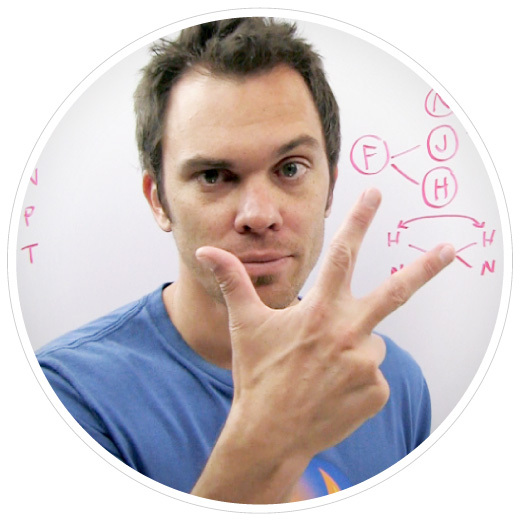 Read what Dave's students think about him. Read why Dave never went to Law School. Send Dave an email at dave@velocitylsat.com. Send Dave a voice message at 916-572-8773. 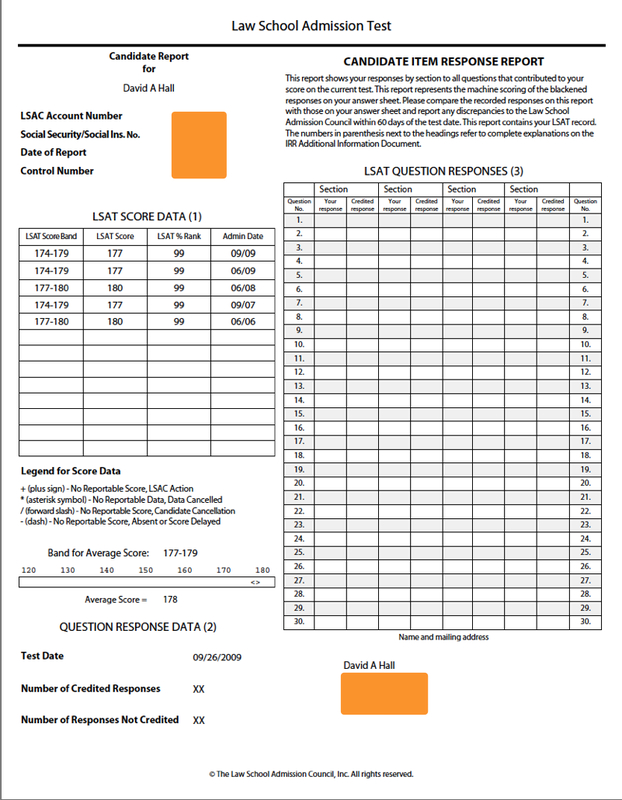 For those of you keeping track at home, below are all of Dave Hall's LSAT scores (click any score to view the score report, if you're into that sort of thing). 180 99th June 2006 My first 180. 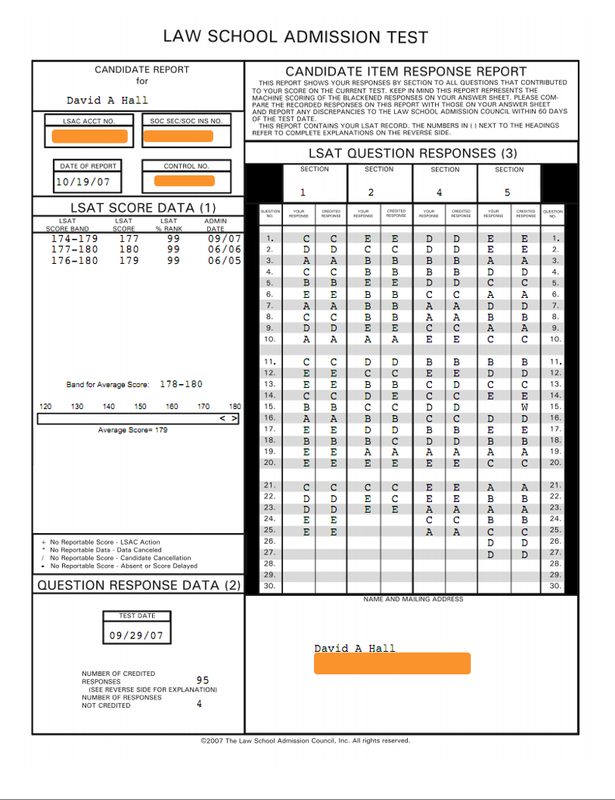 You'd think it would've been easier, since I'd gotten 179 on my very first test and spent a year after that teaching LSAT prep. Nope. Stress levels off the charts. I sweated this one out. 180 99th June 2008 Second 180. Much easier than the first. Still stressful, but not bullet-sweatingly so. 180 99th June 2013 At this point? Just doing work. 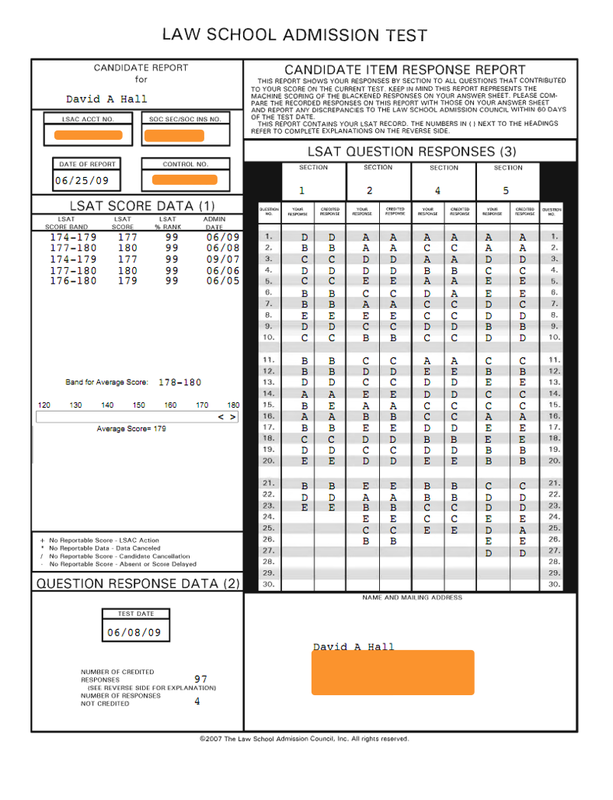 179 99th June 2005 My very first LSAT score. ONE POINT! Those magnificent bastards. 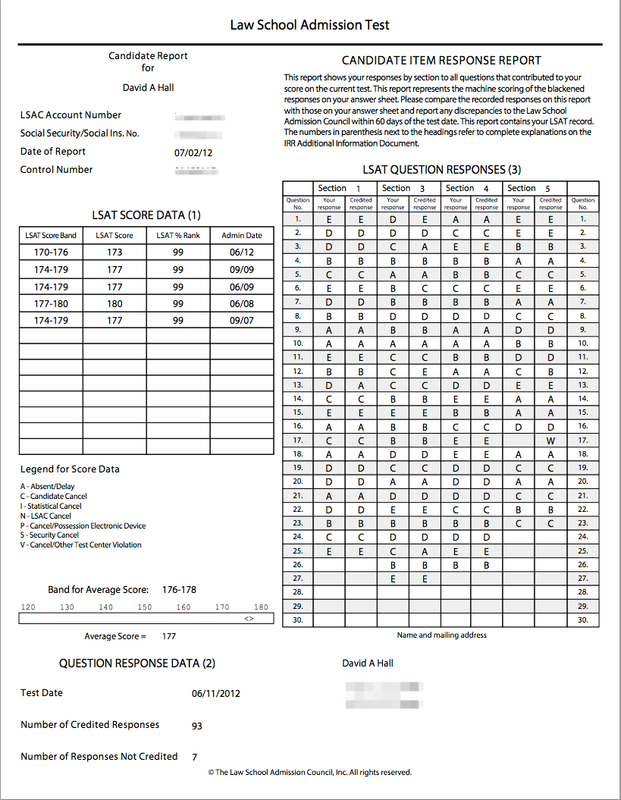 178 99th Oct 2012 Fun fact: the 3 questions I missed here would've been good for 180 on some tests (including PrepTest 62, for instance), and good for as low as 177 on some others. 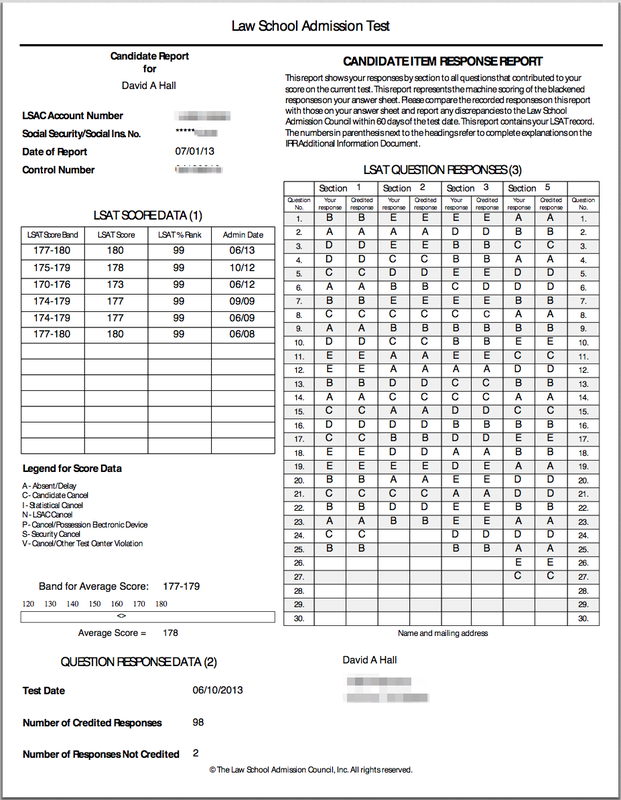 This is part of the reason LSAC reports scores in a range. 177 99th Sept. 2007 So, you just got 180 on your last test. How do you follow that up? 177, of course. Grr. 177 99th June 2009 Bit of a pattern forming at this point; chronologically, we're looking at 180, 177, 180, 177. Come on. 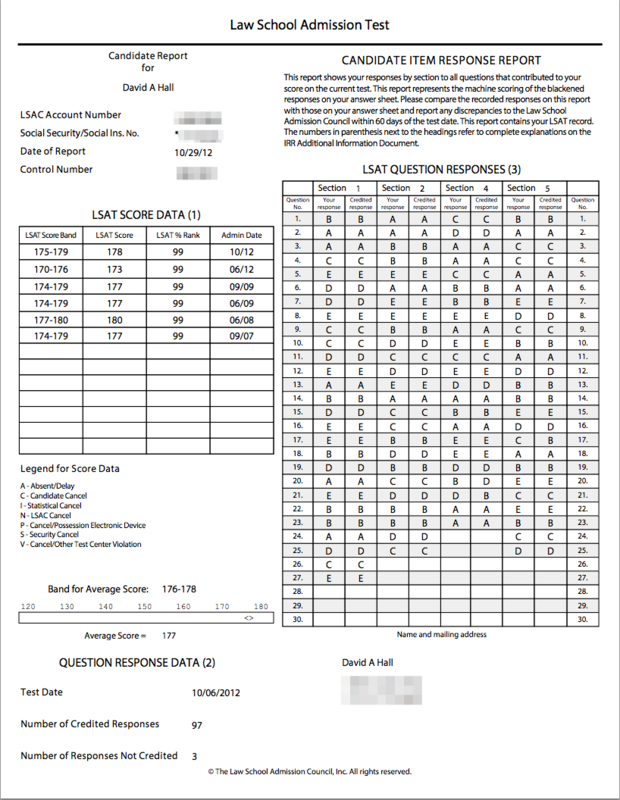 177 99th Sept. 2009 This test inspired a hold on my file; for years, LSAC didn't release this score. BUT I CONVINCED THEM (I asked very nicely). 173 99th June 2012 Ugh. Just, ugh. I guess everybody has a bad day now and then. Yeah, I just don't want to talk about this one any more.